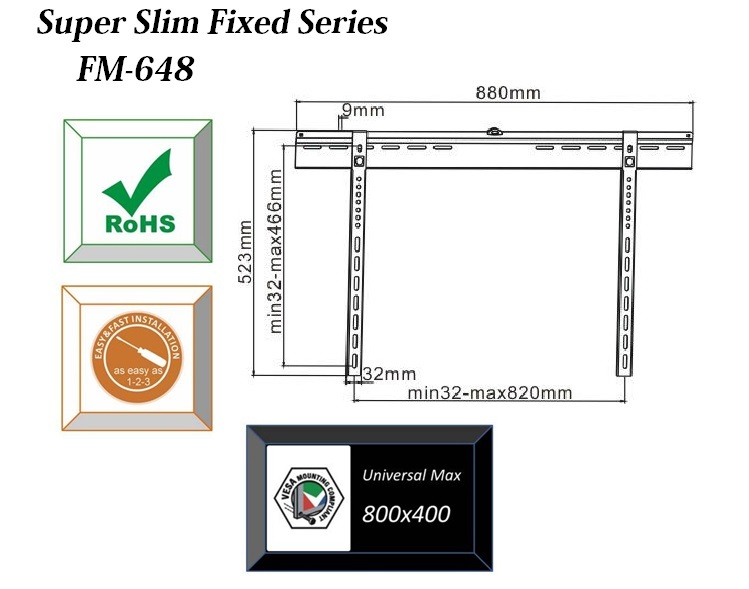 For larger, heavier flat screen TVs, look to the FM-348 TV mount. 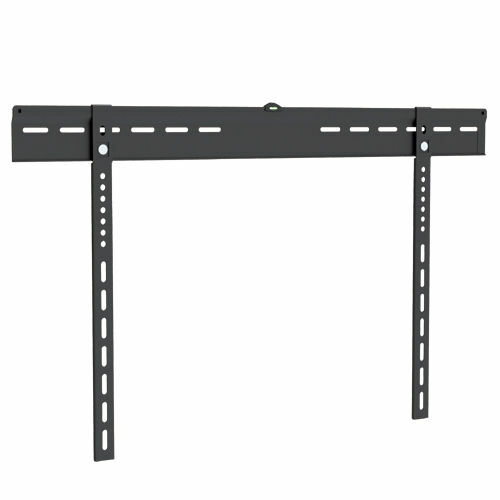 This sturdy mount that can handle LCD, LED and plasma TVs ranging in size from 37” to 63,” so it will work well for main TV viewing areas or secondary TVs in bedrooms or dens. 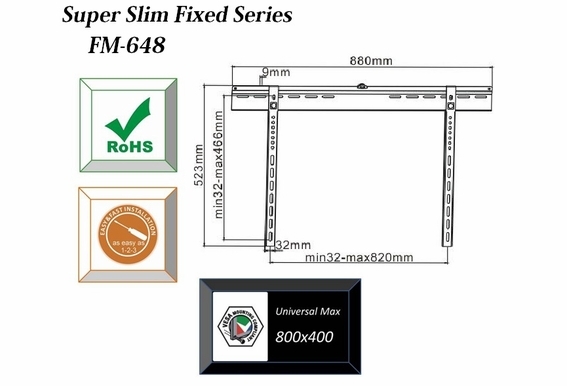 Supporting sets up to 143 pounds, the FM-348 also has a very low profile and, like all of our mounts, the universal hole pattern ensures that your LCD, plasma or LED model will mount quickly and easily. The quick release feature allows you to switch out the TV without a huge hassle, and this mount requires simply basic tools to install. All mounting hardware is included with the mount. Warning: The installer of these products must verify that the mounting surface, ceiling or wall, will safely support the combined weight of all attached equipment and hardware. We will not be held liable for the improper use or installation of these products. Our TV Mounts are made with high grade quality rugged materials. All mounting hardware included with the mount. 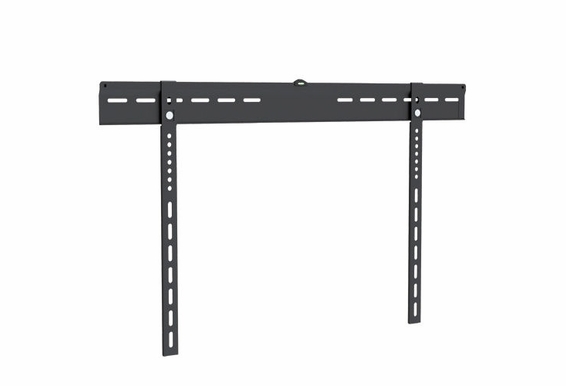 What is the distance from the wall the bracket?